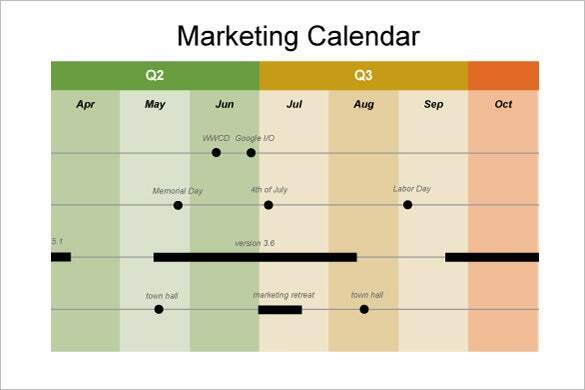 A calendar timeline features the upcoming events you would have to attend in the coming months. Such a timeline always keeps you alert on the events so that there is no chance to miss out on them. 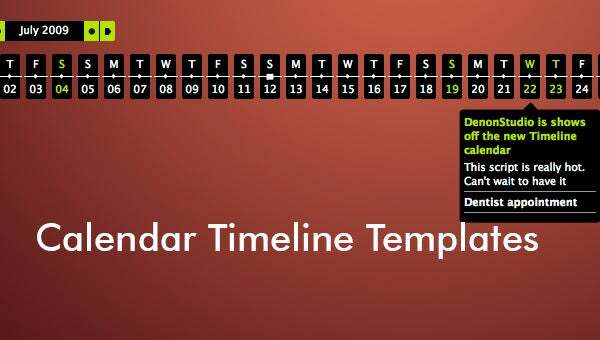 Do you too have to create a calendar timeline and you are looking for suggestions. 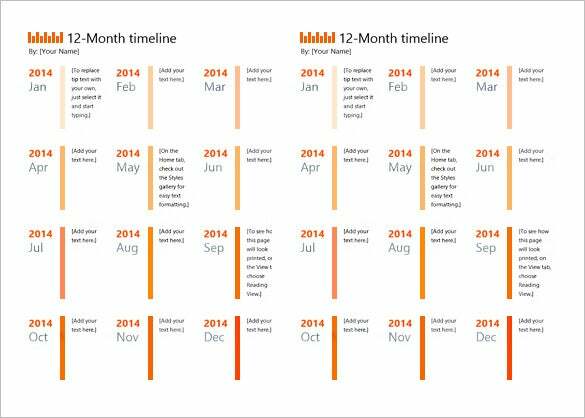 It would be smarter to opt for 12-month calendar timeline website template available online. 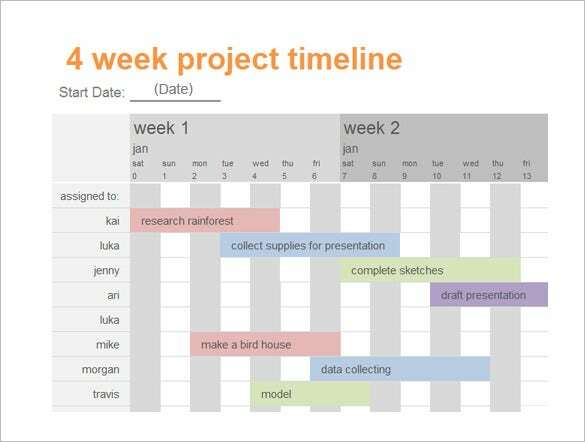 You are getting a 4-week project calendar timeline template that will help you to track all your projects going on, throughout coming 4 weeks. 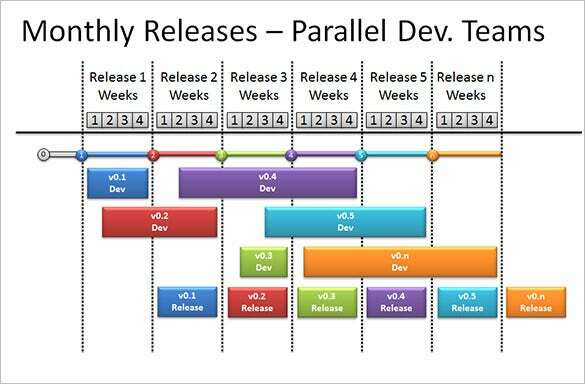 You will also have places to signify which projects is assigned to whom. 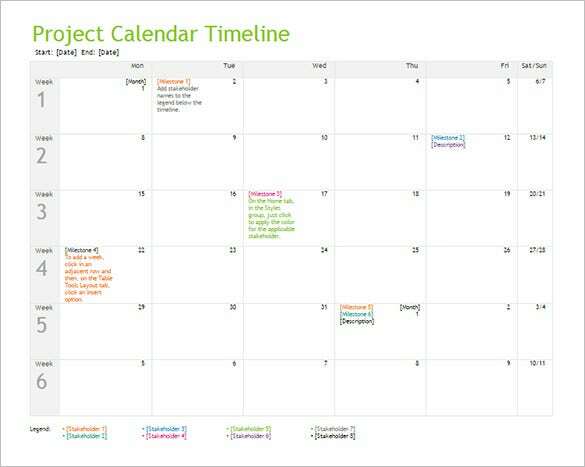 If you are looking to prepare a project or event calendar timeline for a year, this template will help you with its designated places where you can place the specific details to carried out each month. 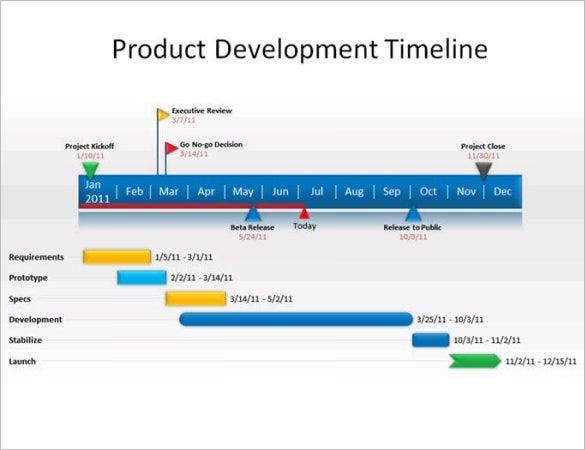 If you are looking to draft a timeline that will help to portray and keep track on the developments or releases you have been assigned to each, this template would be really useful for you. 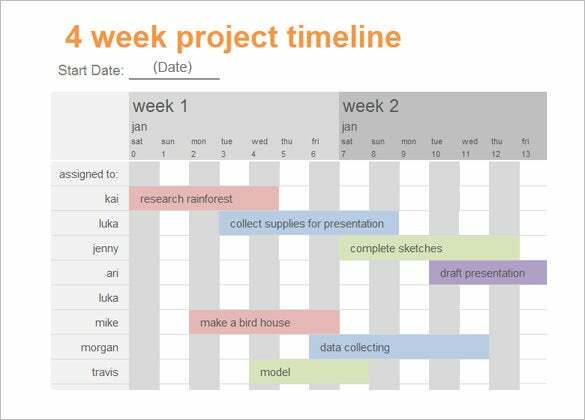 This project calendar timeline template would enable you to keep track on your project over the 6 working days of the week. The template follows a neat format and is easy to adjust. 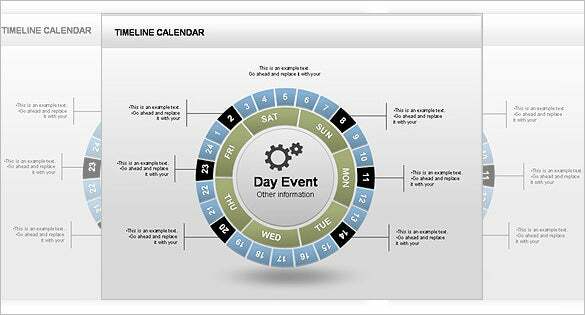 The circular calendar in the middle renders an edgy touch to the overall template enabling you to track your special events on the designated dates in a stylish and artistic way. The grey background makes a soothing view while the colored tracks here and here will help to distinguish one project from another. 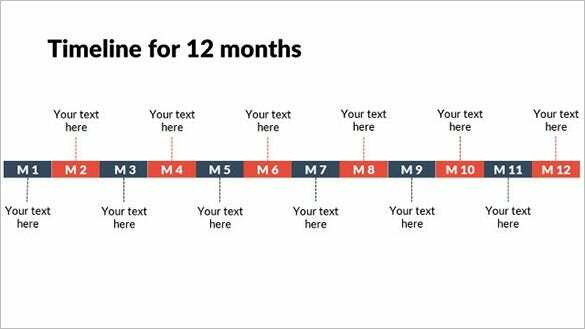 The timeline here can be customized easily with your own data. 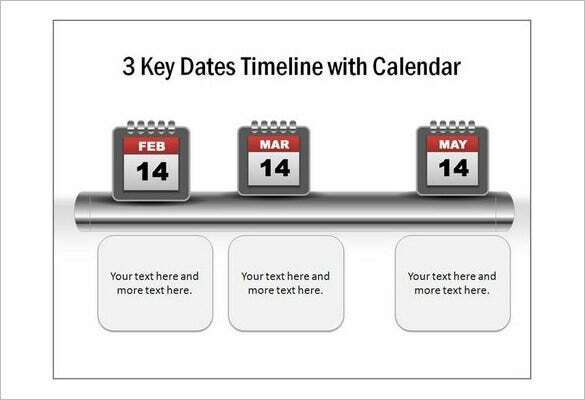 These online templates are great timesavers as they arrive with pre-designed calendar timeline templates structure so that you don’t have to draft the entire thing from scratch. The template sample can be modified easily with your own event data- you will get them free of charge.